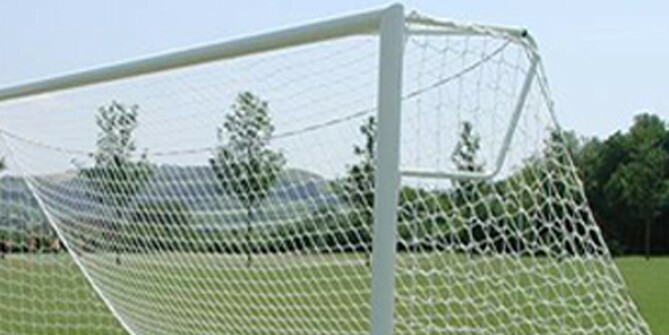 Tubular steel continental net supports to suit any of the socketed steel football goals. These net supports are "back elbows" fitted to the top of the goal uprights. Illustrated on 76mm diam heavy duty steel football goal.